Product prices and availability are accurate as of 2019-04-18 17:45:18 UTC and are subject to change. Any price and availability information displayed on http://www.amazon.com/ at the time of purchase will apply to the purchase of this product. Author Bookstand is proud to offer Beneath a Kansas Sky by Bookstand Publishing. 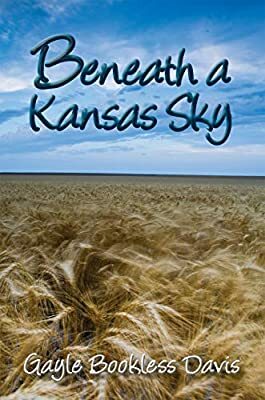 Beneath a Kansas Sky has generated a lot of interest and excitement and we think it would be an excellent addition to your library. The year is 1886 when Thomas Keith with his young wife and infant son travel to western Kansas where they become homesteaders who live in a sod house on the prairie. They are plagued by hardships which include infestations of rattlesnakes, violent hailstorms, drought, fierce winter blizzards, and invasions of grasshoppers. Thomas shoulders each setback with an optimistic spirit, but when tragedy strikes his wife he is driven close to despair. Thomas turns to his faith and learns God is with him in his humble soddy. God has not forsaken him. As he begins to practice a spirit of gratitude he finds blessings in his children, friends, and kind neighbors. More heart-wrenching tragedies fall on those he loves, and Thomas's faith is tested again and again. Though he is a very down-to-earth individual, he is given a vision which is so real that Thomas places his hopes in its promising future.